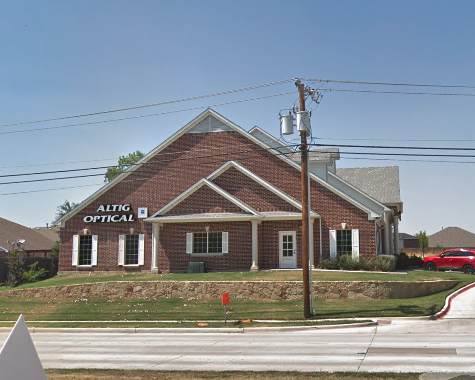 Located between Summerfields and Fossil Creek in Fort Worth, TX, Altig Optical has been providing top notch eye care to the Forth Worth Metropolitan Area for over 22 years. Our patients come from Fort Worth, Newark, North Richland Hills, Saginaw, Watauga, and other cities near our office conveniently located off Interstate 35W. Check out our hours, map, and contact details – then book an eye exam with one of our eye doctors – or drop by our office on Western Center Blvd anytime to browse through our large selection of designer eyeglass frames and sunglasses. Take a Clear Look at Fort Worth, TX! Our friendly eye doctors and staff at Altig Optical are excited to share the sites of Fort Worth, TX, with you! Located in the suburban neighborhood of Fossil Creek, we offer a full selection of quality eye care services. Dr. William Altig and Dr. Neha Patel will check your eyes with precise vision testing and comprehensive eye exams. Using state-of-the-art technology and over 22 years of professional experience, we ensure that you will receive detailed diagnoses. Our optical collection features plenty of designer frames in the style you’re looking for, and we will gladly help you choose your ideal eyeglasses or contact lenses. If you have an ocular disease, such as glaucoma, macular degeneration and cataracts, we’ll provide advanced treatment to prevent vision loss and complications. Do you suffer from sore eyes, due to dry eye or a different irritating condition? We’ll help to relieve your discomfort! In the event of an eye emergency or infection, please contact our Fort Worth office for guidance. Fort Worth, Texas, is home to one of the most vibrant downtown areas in the United States. Cultural venues include the world-famous Kimbell Art Museum. This incredible building, designed by architect Louis Kahn and with an addition by Renzo Piano, displays the best art collection in Texas. Items from antiquity through the mid-20th century are on display, along with a painting reputed to be Michelangelo’s first work. No matter what period or style of art you prefer, Fort Worth has a museum worth visiting! We encourage contemporary art fans to tour the Modern Art Museum of Fort Worth, and American Art lovers must stop by the Amon Carter Museum of American Art. When you want to spend time in the great outdoors, The Fort Worth Zoo is an amazing attraction for a family trip. With over 5,000 creatures, it has been titled as one of the best zoos in the country by various publications. Experience the beauty of nature at the Fort Worth Botanic Garden. Hikers, bikers and boaters will be very busy at the well-preserved Fort Worth Nature Center, where bison and prairie dogs roam free. In addition, there are over 250 parks in Fort Worth, with the average park size approximated at 12 acres! Your Texas experience isn’t complete without attending a show at the Stockyards Championship Rodeo at Cowtown Coliseum. You’ll be treated to barrel racing, calf roping and bull riding. We urge everyone who lives in or passes through Fort Worth to catch the Pawnee’s Bill’s Wild West Show, which is a historical reenactment that displays trick riding, trick roping and hearty cowboy melodies. When your stomach starts to rumble after a full day of Fort Worth action, we recommend picking up good eats at one of the Fossil Creek, Fort Worth, restaurants near our eye care clinic. An Zen Asian Bistro and Sushi Bar is a favorite spot, where they serve mouthwatering spring rolls. The Lone Star Bar-B-Que will never let you down with homestyle cooking, slow-smoked meats, and warm Texan hospitality. After hours, head to Dublin Square for Irish spirits and live entertainment. There’s plenty to see in Fort Worth, TX, the city of cowboys and culture – and Altig Optical is here to help you see it with crystal-clear vision! In case of an emergency during non business hours, please go directly to the emergency room.